A marketing call center can be a powerful ally for a business of any size, especially those that don’t have the resources to dedicate to a large staff. Effective branding starts with capturing potential clients that contact the business, and it’s surprising how many companies overlook this aspect of their operations. With a professional inbound answering service, any business can improve their conversion rates and their branding. However, a reputable communications partner can do more than that. They can also reach out and acquire leads for the business, qualifying them as well during the process. In short, there are several ways a communications partner can assist a company’s operations, giving them an edge over their competition. 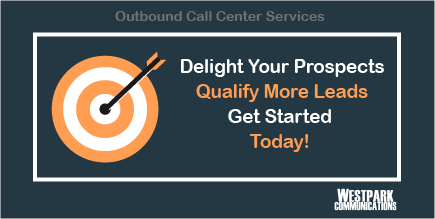 How exactly can a marketing call center improve a company’s bottom line? Companies should think of their communications as something to invest in, as it’s been shown time and time again that businesses succeed when they can interact well with their clientele. And the foundation for strong communications is an answering service that is up and running around the clock. People may attempt to contact the business with a potential sale at all times of the day and night, but many companies just ignore the contacts that fall outside of normal business hours. A communications partner is there 24 hours a day, seven days a week, and on holidays too. A marketing call center knows how to address people professionally, and with an aim to convert them into customers. Reputable communications partners have a staff of trained representatives on hand, and they can use reference materials to ensure customers are handled appropriately. This alone can convert additional sales, but it is only the foundation. Communications partners can provide a range of outbound services that secure additional leads for the business to consider. Generating and qualifying leads are essential in most industries, but particularly for businesses that sell to other companies. Determining what potential clients need, and whether or not those needs fit into the company’s capabilities, is something that can take a lot of time and effort. It’s also something that has to be executed just right, as poor lead inquiries can build a negative reputation and limit the company’s ability to earn clientele. This is where a marketing call center can provide excellent returns, as communications partners are practiced at approaching other organizations, assessing their needs, and relaying this information back to the company. And once the purchase is made, there is still work to do. Processing orders, ensuring customer fulfillment, and responding to any concerns are all essential elements of a successful business, and a communications partner can assist in these areas as well. If need be, a communications partner can manage nearly every step of the customer acquisition and retention process, from discovering leads to providing ongoing support following a purchase. That’s the kind of service clients expect and the kind of service that will keep them coming back.